An Herb Fairy Garden is a fun container garden for your kitchen! Easy tutorial for how to make a mini fairy garden for your home. Cute kids craft ideas. Some plants to buy for fairy gardens! What is a fairy garden you may ask? It is a miniature little garden that you can put in a single pot. It is full of moss, flowers, herbs, or whatever small plants you prefer. What makes a fairy garden really special though, are all the little items that you can use to decorate! 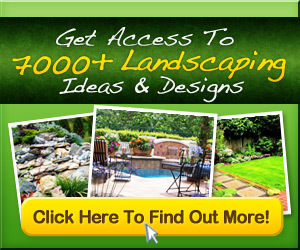 There are lawn chairs, rakes, pots, bird baths, bridges, and more!